The recognition of Environmental Science (ES) academic programs as science, technology, engineering, and mathematics (STEM) is important to the role ES will play in scholarship and in socio-economic development. The National Science Foundation, other federal agencies, and many academic leaders recognize ES as a STEM discipline. However, some state agencies and academic colleagues do not. This article builds the case that ES is a STEM discipline, is a “rigorous science,” and provides in-depth treatments of science disciplines. In general, ES qualifies as STEM education for four reasons: ES is grounded in the scientific method and the process of discovery, ES is empirical and predictive, ES is rigorous in its provision of specific skills for analytical analysis, and ES provides students with critical thinking skills. We develop viewpoints that the interdisciplinary field of ES is a mature science that appeals to students and prepares them for meaningful careers. Recognition and classification of ES as a STEM discipline provides a crucial link for their funding, provides career opportunities and research initiatives for students and faculty members, and gives those from ES academic programs standing in the science-based discussions for advancing sustainability in a rapidly changing world. Kuenzi, J.J. 2008. Science, Technology, Engineering, and Mathematics (STEM) Education: background, federal policy, and legislative action. Congressional Research Service Pub., Report to US Congress, Order Code RL33434. http://fas.org/sgp/crs/misc/RL33434.pdf. National Science Foundation Budget (2015). Innovations at the Nexus Of Food, Energy, And Water Systems (INFEWS) $74,960,000. www.nsf.gov/about/budget/fy2016/pdf/37_fy2016.pdf. Accessed 3 May 2015. Piegorsch, W.W. (2014). Twenty five years of environmetrics. 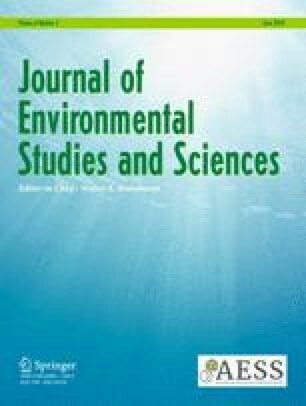 Environmetrics 2014: 25:1. http://onlinelibrary.wiley.com/doi/10.1002/env.2260/epdf. US Bureau of Labor (2010) USBL Statistics Standard Occupational Classification under the category of Physical Science described as code 19-2041. See: http://www.bls.gov/soc/2010/soc192041.htm.